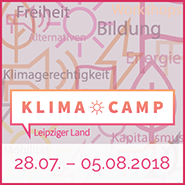 The Climate Camp will take place close to the Lahey Park in Erkelenz, in the same place as last year. Please note: This year we will not use the football pitch, so please don’t put up your tent there. The trip from the railway station “Erkelenz” to the Camp is around 5 kilometers. You can get there by bike, (hitch-)hiking or bus. 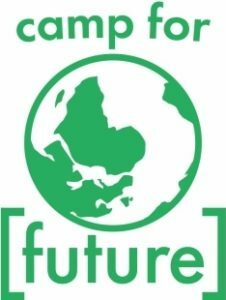 For the latter, from Erkelenz railway station take bus EK3 to „Weyerhof“ and follow the signs to the camp’s location. Note that you can get to Erkelenz using public transport quite well from Aachen, Cologne or Düsseldorf (all well-served by fast trains). PLEASE NOTE: At the weekend the regular bus doesn’t run, but there are “Multi-busses”, which you have to call at least an hour in advance (+49 2431 886688). We have set up a page where you can hook up with others to share rides via the comment-function (redirects to the German page). We don’t have parking facilities at the camp, so the best is to leave your car in Erkelenz. Please don’t park in field paths, because your care will be towed!